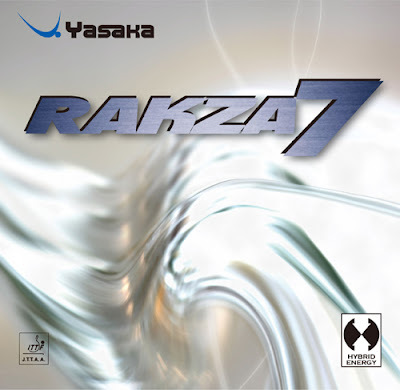 RAKZA7 is the newly developed rubber by YASAKA, using mainly natural rubber gum for the top sheet. This improves the level of grip and the power of spin drastically. The top sheet is combined with the new "power Sponge". The top sheet and "Power Sponge" work in perfect synergy,producing the Hybrid Energy rubber RAKZA7. 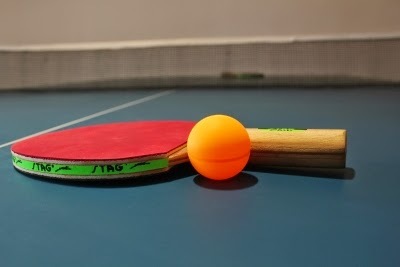 When the player hits the ball hard, the rubber "grips"the ball and the stroke can be used to place the ball accurately, both in direction and length. The serve and short returns are very sharp and easy to handle. Due to the increased percentage of natural gum the durability is improved. RAKZA7- a winning combination. I thought this amateur is doing some great looping with the Rakza. Imagine what serious or Pro players are doing with it! Anthony Amalraj finished the season at a high that he displayed right through the season. He beat Achanta Sharath Kamal 4-2 in the finals. 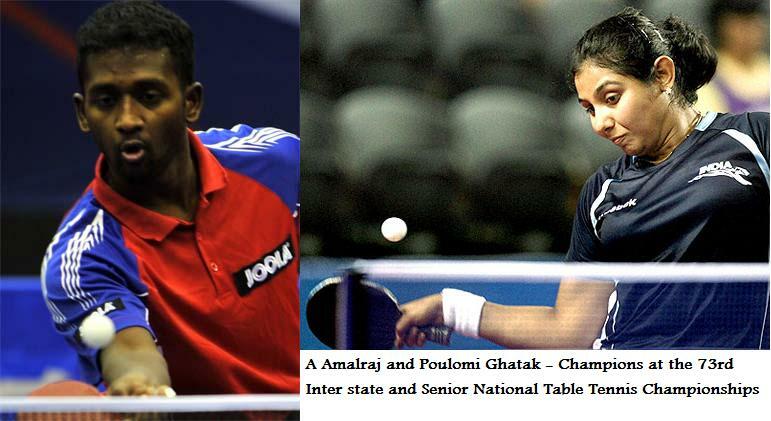 Earlier, Poloumi Ghatak defeated K Shamini 4-0. Such was his form that Amalraj was leading 3-0 in the finals before the determined Sharath decided to fight back winning the next two. In the sixth game however, Amalraj was determined not to let the match slip into a decider and won the game. There was some controversy after Amalraj jumped on to the table to celebrate. 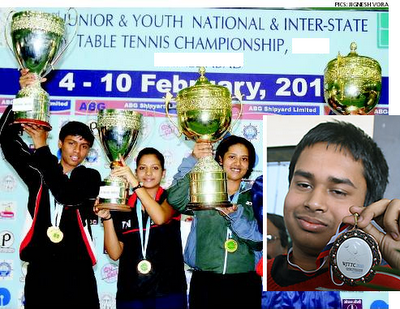 It is understandable since he broke Sharath's grip on the Indian national title. 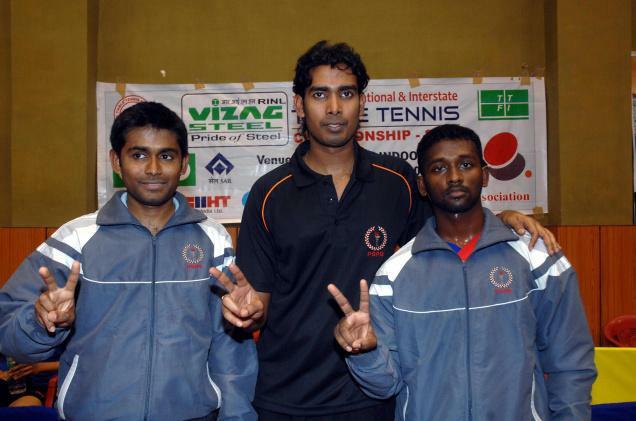 Men’s singles (final): Amal Raj A (PSPB) bt Sharath Kamal (PSPB) (4-2) 11-8, 11-8, 12-10, 9-11, 7-11, 11-8; Semi-finals: Sharath Kamal (PSPB) bt Soumayajit Ghosh (NB) (4-1) 11-8, 8-11, 11-7, 11-6, 11-6; Amal Raj A (PSPB) bt Subhajit Saha (PSPB) (4-0) 11-7, 11-4, 11-7, 11-8. Women’s singles (final): Poulami Ghatak (PSPB) bt Shamini K (PSPB) (4-0) 11-9, 11-4, 11-8, 11-7; Semi-finals: Poulami Ghatak (PSPB) bt Ankita Das (NB) (4-3) 11-3, 9-11, 11-9, 4-11, 10-12, 11-8, 11-8; Shamini K (PSPB) bt Mouma Das (PSPB) (4-1) 11-9, 11-4, 12-10, 13-15, 11-6. Mah A beat PSPB in a historic match in the Women's semi finals of the Team events at the 73 rd Inter State and Senior National Table Tennis Championships. Rarely have PSPB faced defeat against other teams. In one of the other big upsets, Maharashtra A beat North Bengal in the Quarterfinals. North Bengal had the likes of Soumyajit Ghosh and Raj Mondal in their ranks! Soumyajit won both his matches but Raj Mondal could not escape the clutches of Udare and Fernandes. Experienced Chaudhary ensured the third point. 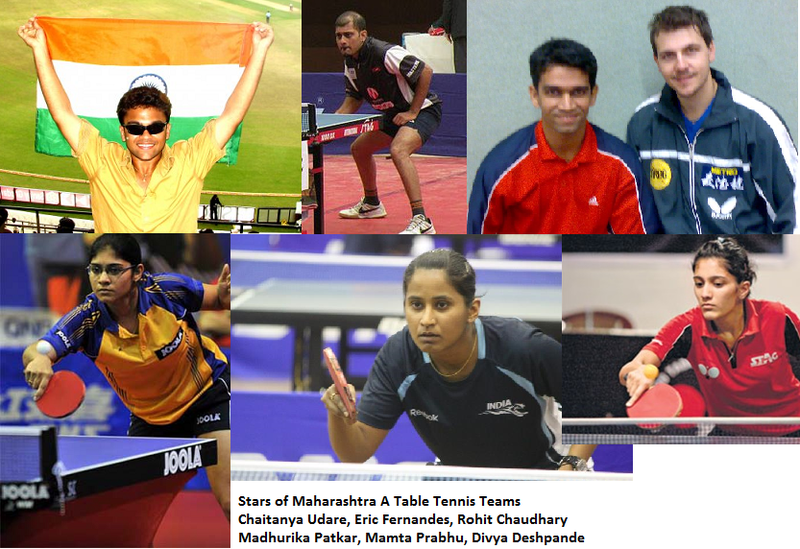 The most prestigious tournament of the Indian calendar is here and top players such as Sharath Kamal, Amalraj, Soumyadeep Roy, Mouma Das, Poulami Ghatak, K Shamini are all participating in UP's Lucknow. Defender Joo Se Hyuk sent shock waves down the Chinese team's spine by beating Zhang Jike in straight sets in the Olympic year at the Hungarian Open Table Tennis World Tour Tournament. Just when the team was grappling with the possibility of not being able to field veterans Ma Lin and Wang Liqin at the Olympics, Jike is giving some sleepless nights to the team management. Ma Lin continued his slide by losing to Xu Xin in straight sets. Ma Long survived a huge onslaught by Chen Qi and won in extra points in the decider. In the Quarter affected by the withdrawal of Wang Hao, Adrian Crisan of Romania made the most of it by beating Chen Weixing to advance to a rare semi-final at this level. He faces Joo, who will not let such an opportunity of reaching the finals slip by. 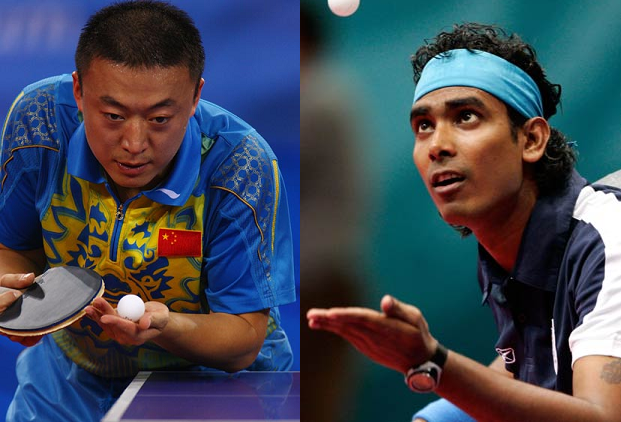 Indian Table Tennis ace, A Sharath Kamal gave TT legend Ma Lin a run for his money at the Hungarian Open World Tour (formerly called Pro Tour) event. In the 2nd round of the main draw, Ma Lin prevailed 4-1 (11-4,5-11,11-7,16-14,11-9). Sharath had great chances to equal the match at 2-2 but unfortunately lost the fourth game after an extended duel. Earlier, in the first round, Sharath squeaked past England's Paul Drinkhall after being 0-3 down. He eventually won 4-3, in a decider that went all the way to 13-11. Don't worry if you leave this bat outside in the rain. It is an all weather bat! Please note that the photos are from the previous year. Incidentally three out of the four retained their crowns. 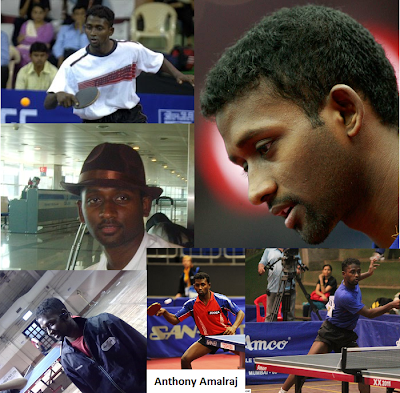 A Amalraj stands clear as the player of the year 2011 in Indian Table Tennis. After a quarter final loss in the first zonals, he swept almost everything at stake, even beating the formidable Sharath Kamal at the Inter Institutionals. He beat his closest rivals with ease and lost very few games while doing so. 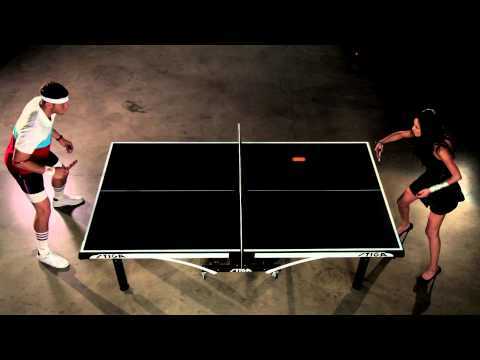 The 6'10" Clippers star, Blake Griffin could not make great progress at Table Tennis when he was on his extended break. Watch him take on a model in heels and get thrashed. His huge height, quick feet, and reach didn't help much.